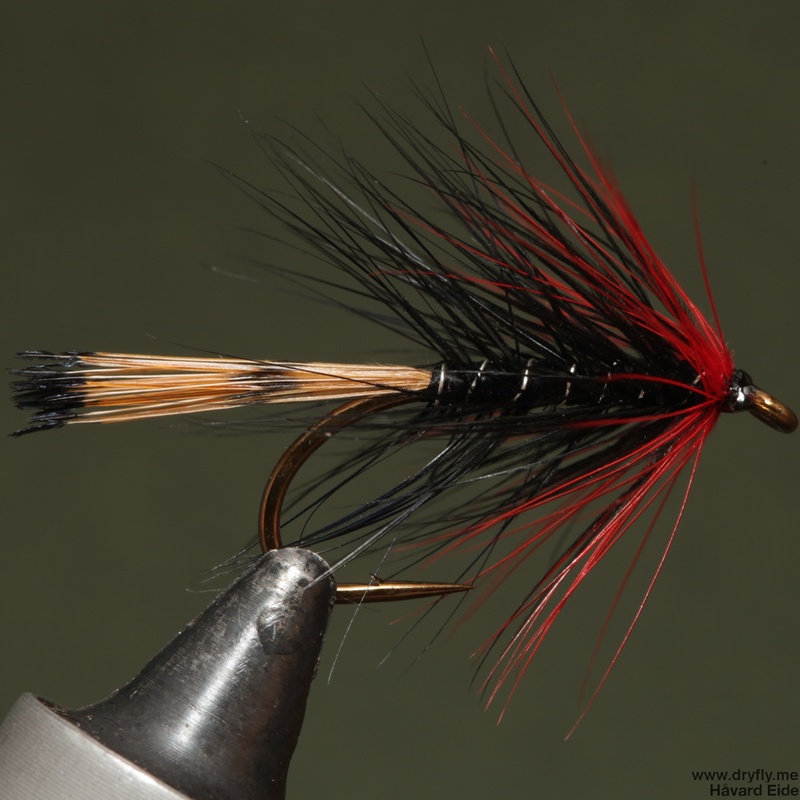 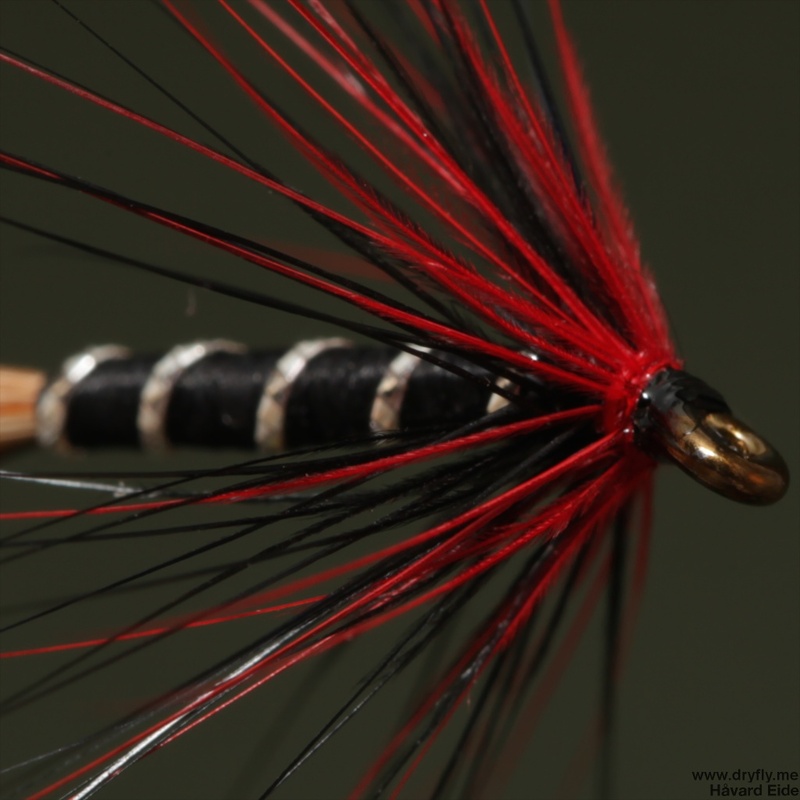 A follow-up from this mornings post on wetfly for trout: the combination red/black/silver is a combination that don’t go to wrong when it comes to trout. 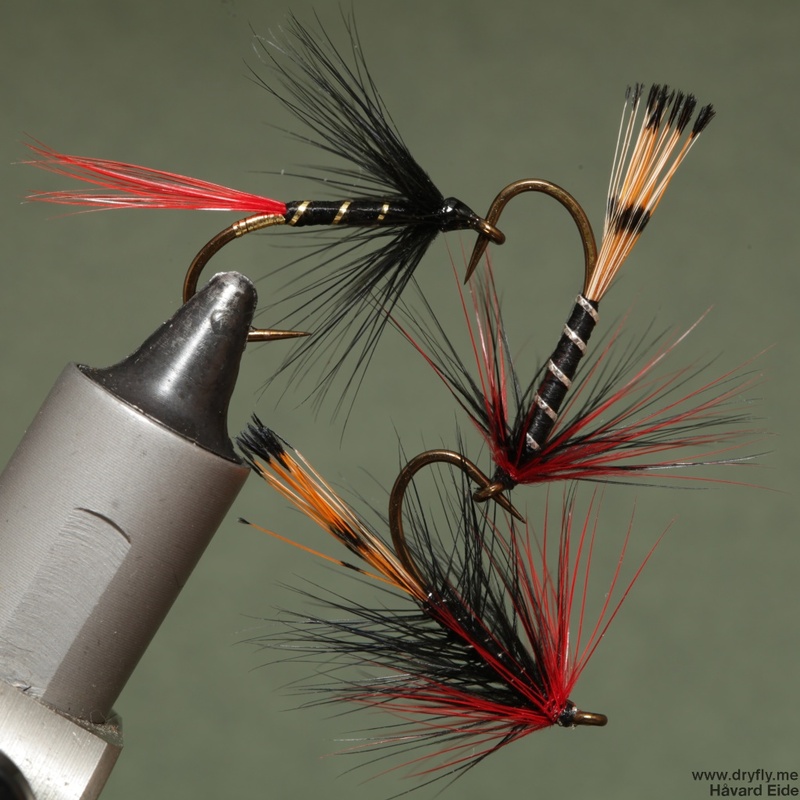 These are rather large (#6 Mustad S60-3399A) and can be used for both seatrout and grayling as well! 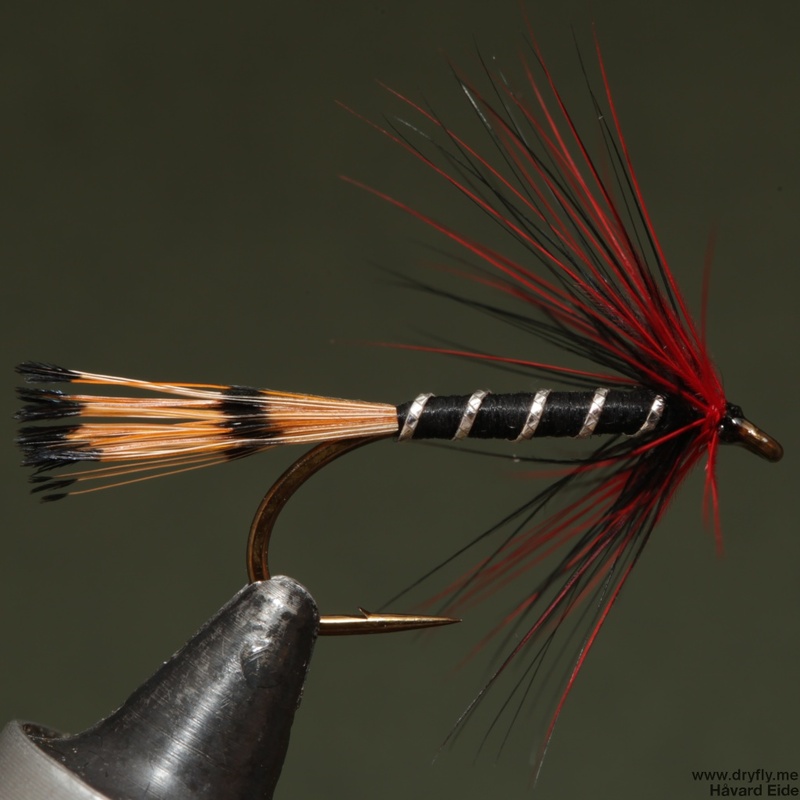 A body-hackle with reverse-rib over the hackle to keep it in place.